#60 – A special delivery by the coal man! This week’s blog is a bit on the short side. I’m out for the next few days acting as safety cover on what must be the most gruelling race in the UK – It’s called ‘The Spine’ and the competitors are racing each other north up the Pennine Way. This might not seem particularly challenging, as many walkers complete the PW every year, but most walkers take three weeks not six days, and most walkers don’t attempt it in winter! 'Willy's Hut' - not much room! 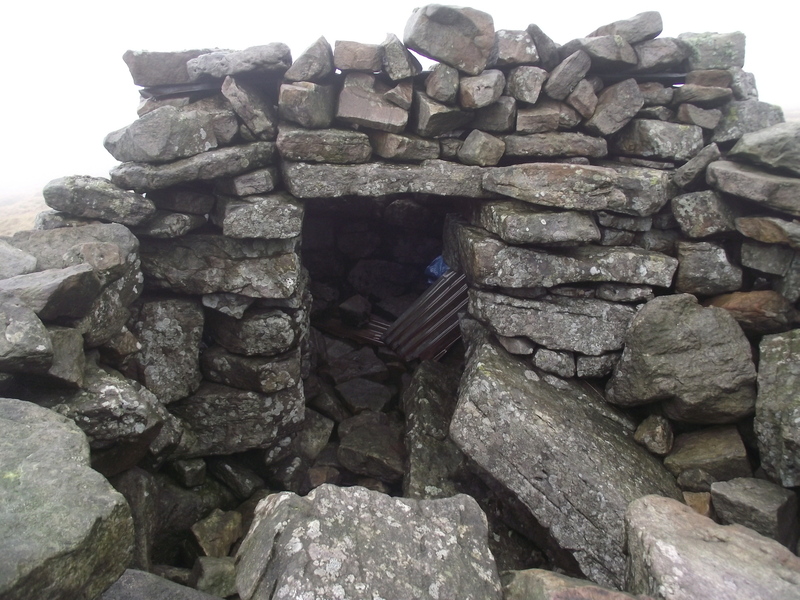 One of the tasks I’m down for is manning a safety point with my old mate John Bamber, at one of the highest bothies in the UK – Greg’s Hut on Cross Fell is at an altitude of 700 metres or so, and if the weather is bad anywhere over the next week it will be bad on Cross fell. Pennine landscape - cloud lifting at last! 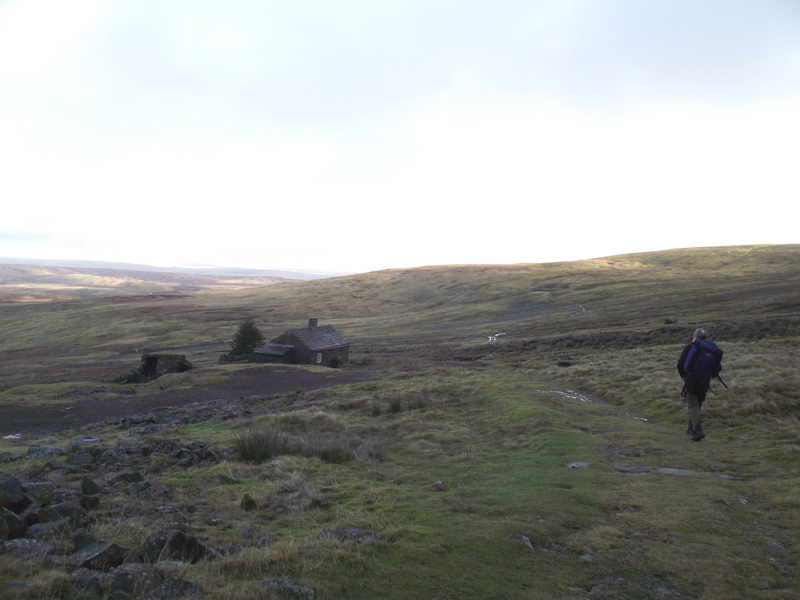 Which is why I was setting off up to Greg’s Hut last week – a recce seemed like a good idea as I’ve not been there for about twenty years, and John had not been there at all. The idea was to make a light and fast ascent, so I was somewhat bemused when John loaded a huge rucksack in the car. The logic soon became obvious – it was to carry the bag of coal that John had decided was an essential for the job. 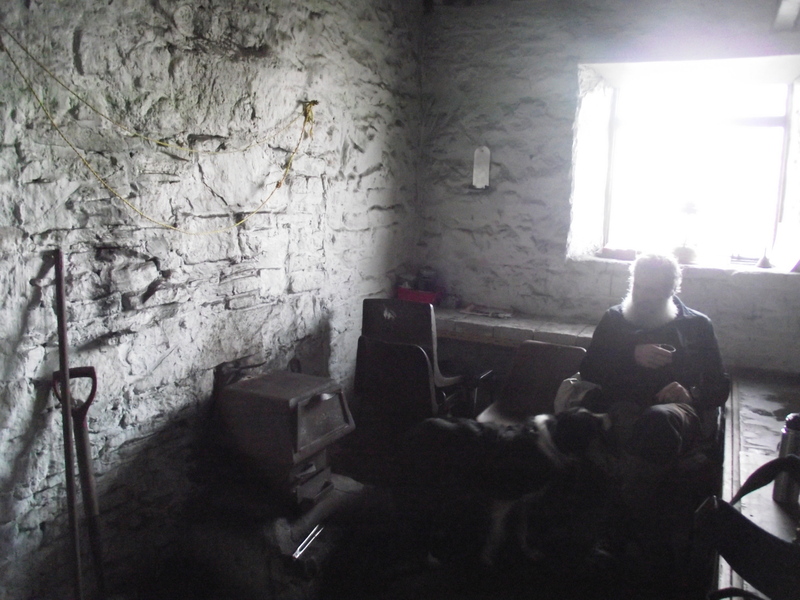 So it was that for last week at least, John became the highest coalman in the country – good value for him because he gets warm twice, once carrying it up and once burning it in the hut stove! 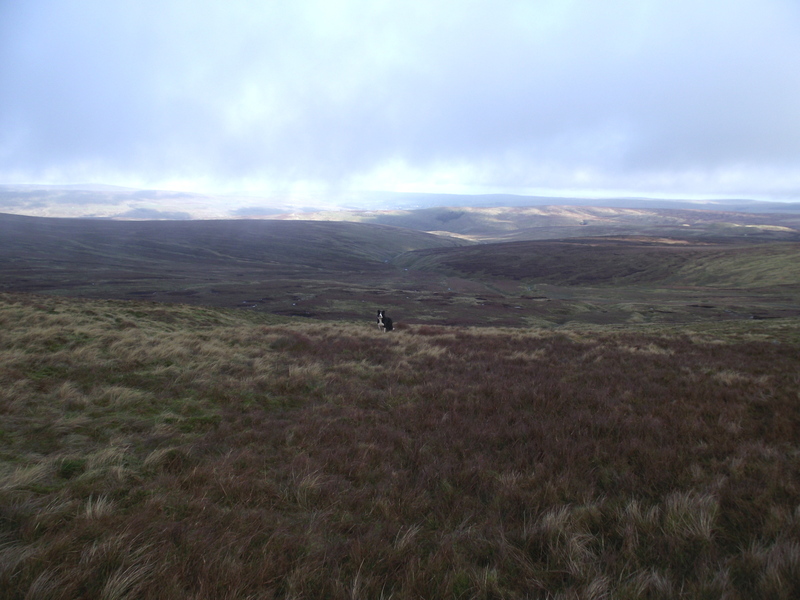 We’re both old enough to know better of course, but at least we don’t have to do the whole Pennine Way in winter! Watch this space next week to find out how it all went. This entry was posted in 3. Yorkshire Dales, 4. 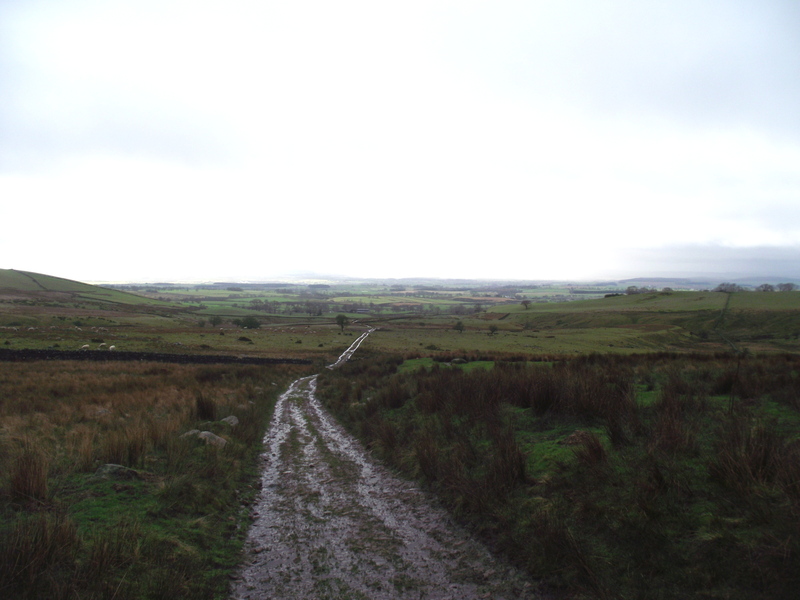 Northern England and tagged Pennine Way, Spine race. Bookmark the permalink. 8 Responses to #60 – A special delivery by the coal man! ‘The Spine Race’ is certainly a ‘toughie’! Half the field have dropped out since the start on Saturday, but all of them have done far better than I could ever have hoped to do. 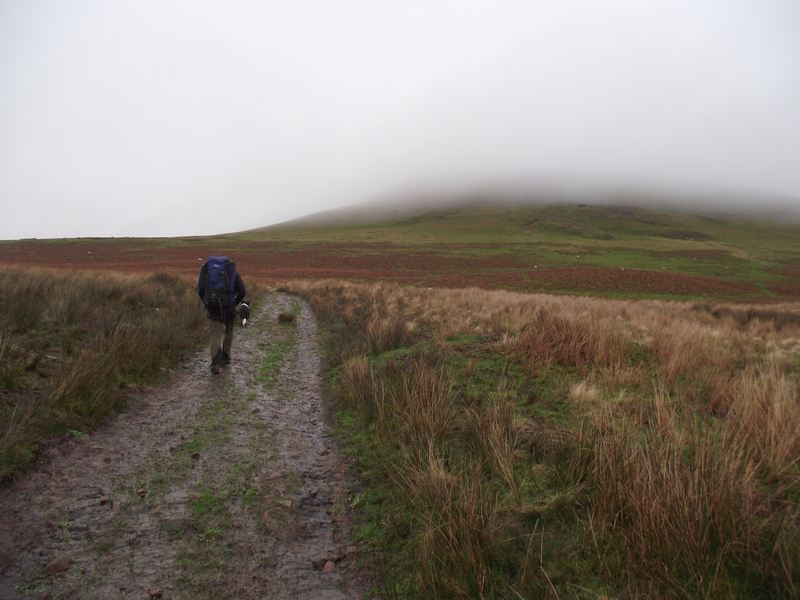 In the meantime, the remainder are between Pen y Ghent and just beyond Hawes – amazing in sub-zero conditions and 2 1/2 days! Masochists doesn’t even come close! – I’m just back from Cross Fell, andit’s been very wintery up there, but at least we had a fire to sit by! 6 days and in winter – that really is a toughie! Not my idea of fun, I’m afraid. 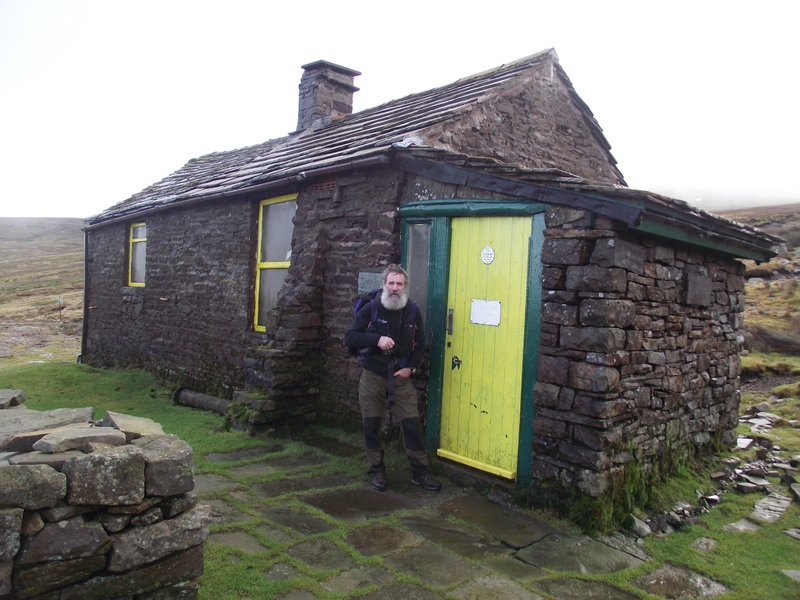 Although Greg’s Hut looks great – didn’t know we had a bothy on Cross Fell. 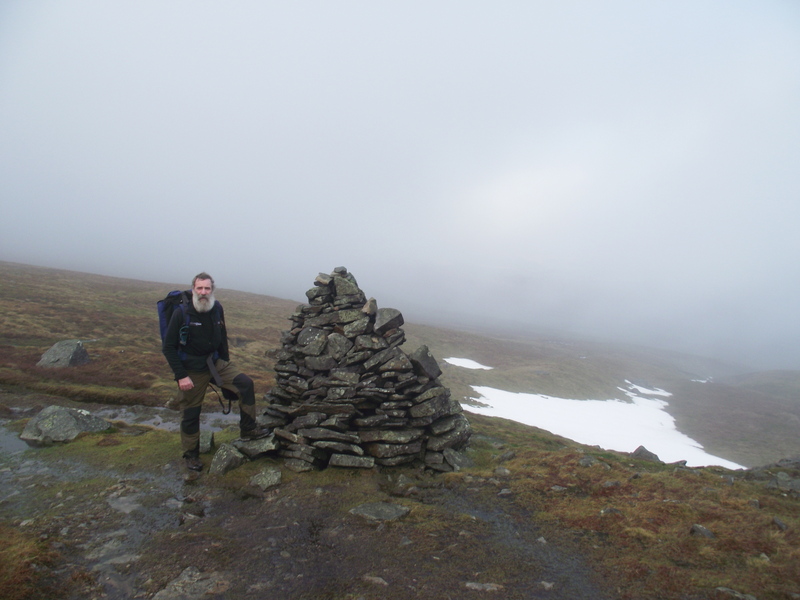 I haven’t done Cross Fell yet but plan to in the next couple of years or so, along with the radome hill near it (can’t remember what it’s called just now). Bet you were glad of that coal fire! It was a tough event, attracting serious athletes – not my idea fo fun either, though I was glad to be part of the safety team. The organisers have the attitude that although the event does have an element of risk, they prefer to manage the consequences of things going pear shaped, rather than relying on Mountain Rescue to pick up the pieces. 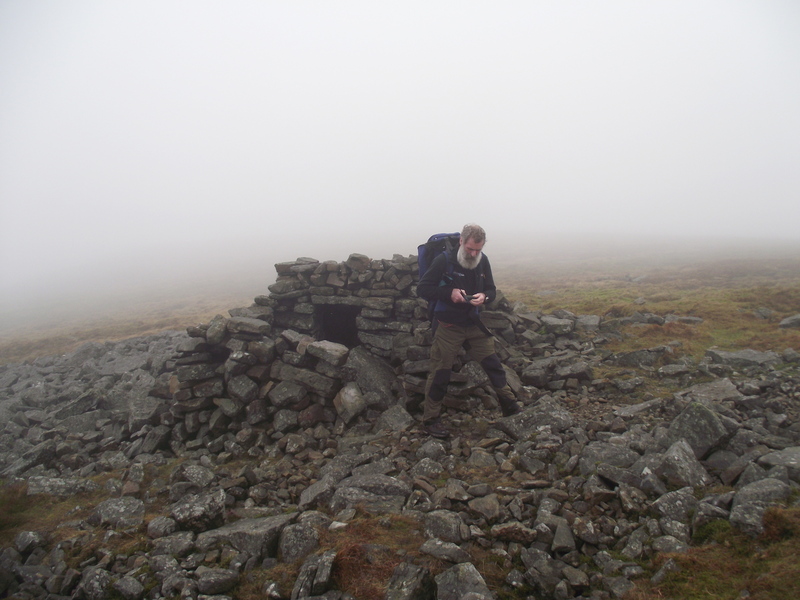 Greg’s is a great bothy, but there is another secret bothy nearby – I’ve not visited it yet (will probably do so this summer just to check it out) but those in the know say its 5* and they don’t want the MBA to find out about it! I’ll give you an update by PM if I visit this summer, but if you go first PM me and I’ll give send the GR. The fire was great, all the better ‘cos John carried the coal in!! Would be great to find the 5* bothy so do let me know if you go… But I won’t be the first to visit it as I have the Munros to try to polish off this year. Hopefully, if I get everything except the Skye Cuillin out of the way, I hope to be going to more diverse areas next year!